If you follow me on Instagram, you may have noticed an increase in food pics (which can also be seen in Monday's post). I've been cooking a lot more lately. And cooking more means more planning. 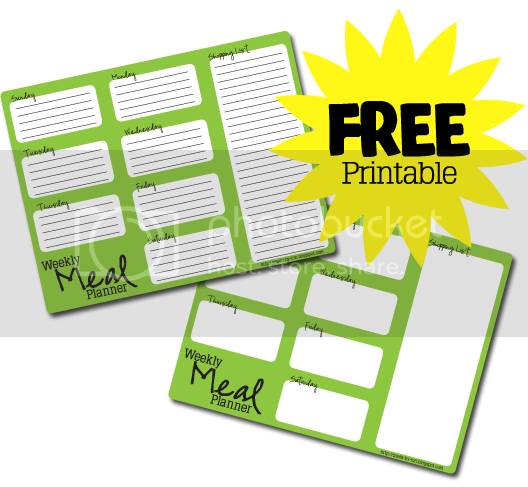 I have found a few meal planners online that I like, but they were all missing something. None of them went from Sunday to Saturday (I like to prep for the work week ahead on Sunday). None were both electronic or printable (sometimes I like to write it out, sometimes I want to do it all on the computer). Printable with lines: download here. Electronic fill-in version without lines: download here.